StartupJobs is a website created for employers and job seekers to come together to fill positions in up and coming startups. If you are an entrepreneur looking to expand your business or leverage proprietary technology, you may want to consider StartupJobs as a recruitment tool. This website is perfect for small businesses and startups that want to find quality candidates for a variety of positions. See below for our complete step-by-step guide on how to post your start up job listings on StartupJobs.com. The first step to finding potential employees through StartupJobs is to register for an account. This requires an email and password. Be sure to enter the email that you use for your business, not personal, correspondence. Once you have entered this information, you will be brought to your profile. Soon, you can begin using the site to build your remote team. The next step for posting on StartupJobs.com is to fill out a profile. After registering for an account, you should see a button that says Manage Your Profile. This option will allow you to enter your name, company name, and other basic information. Additionally, you may also include a company logo or other image along with a description of your business. It is important to build a professional profile so that you present yourself as a legitimate business to potential candidates, so they know you follow employment law and respect workers. After you have crafted your profile, you should then choose a plan for your job postings. StartupJobs offers a variety of options for businesses to choose from. Your plan will likely depend on how many positions you need to fill. Do you need developers, interpersonal communication or executives? On your dashboard, click “Purchase More Job Posting Credits” to view your options. There is even a single, free job posting that you can use for 60 days. Pick the plan that works best for your needs and enter your payment information. After you have chosen a posting plan, you can begin putting your actual jobs out there for potential candidates to see. While the platform doesn’t send out the post to other sites like Zip Recruiter, it does have a major audience. When posting a job, you will be asked to include the job title, company name, description and location. Additionally, you can include additional application instructions for interested parties. Review the information thoroughly in the Preview to ensure that everything is correct and that there are no typos. Finally, once it is all approved you can confirm and post it. If you want to go the extra mile, consider doing some recruitment work on StartupJobs after posting your job openings. This site has a section that allows you to search through profiles of potential candidates and contact them directly. Rather than waiting for the right person to come to you for that open advertising manager position, take a look at their profiles and reach out to job seekers yourself. StartupJobs has more to offer than just a job posting board. If you need to find ways to make startup employees happier and more productive, or if you just want to read up on all you can about startup environments and how to improve operations management, this website can help. 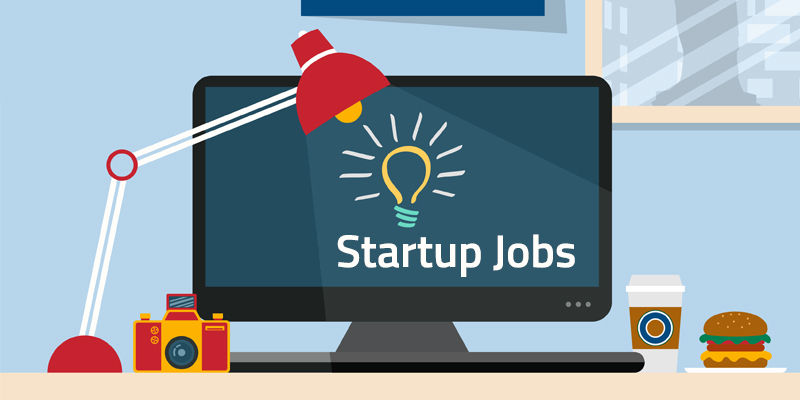 The StartupJobs platform features a useful blog for you to browse. You can spend hours reading the incredibly helpful business startup advice that their posts include. If you want a one stop shop to improve productivity at your startup, StartupJobs may be the best place to go. StartupJobs is not the only website that you can use to find employees for your startup. There are plenty of other job listing sites out there that specialize in this area too. One such website is StartUpHire, which allows you to post your listings alongside thousands of other jobs at some of the best startups in the world. The site also provides a useful feature for venture capitalists, which is unique only to the StartUpHire platform. Consider listing your startup job openings on multiple job boards to gain the largest response with a wide variety of capable candidates, with and without MBA majors. StartupJobs.com is an excellent website for new businesses and entrepreneurs who want access to qualified candidates. If you are looking to fill a position at your company, follow these steps above. By creating a professional profile, reaching out to ideal candidates and including info about your employee benefits, you can fill your open positions quickly. StartupJobs is a great way for employers and job seekers to join together.